Zeeland has plenty of things to offer to the tourists, especially during summer: sea, large beaches, dikes, polders, historical cities and varied villages. 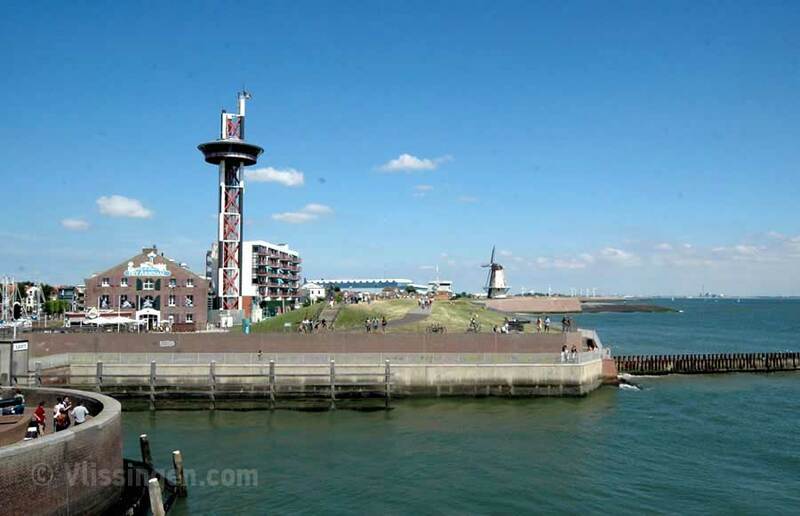 It is also the most authentical coast province of the Netherlands. There is no village further away then 17 km from the coastline. Memories from the past are present as well: fortifications, castles, churches and town halls. Zeeland is an attractive province to live, to work and to stay. The variety on water, the ‘wet’ nature reserves and the historical cities attracts many visitors from home and abroad. Along the Zeeuwse coast there are large beaches with ‘blond’ dunes. At the large, clean beaches with rows of poles full of cockles, the cosy seaside resorts, fishing places, the impressive Delta Project with Waterland Neeltje Jans and the beautiful row of dunes. The beaches around the heads of the islands and in Zeeuws-Vlaanderen are all together sixty kilometers long. But the beauty of Zeeland doesn’t end at the coast. Behind dike and dune there are woody regions, fruit orchards, quiet round villages, twisted flowers dikes and an open land full of rustling wheat. 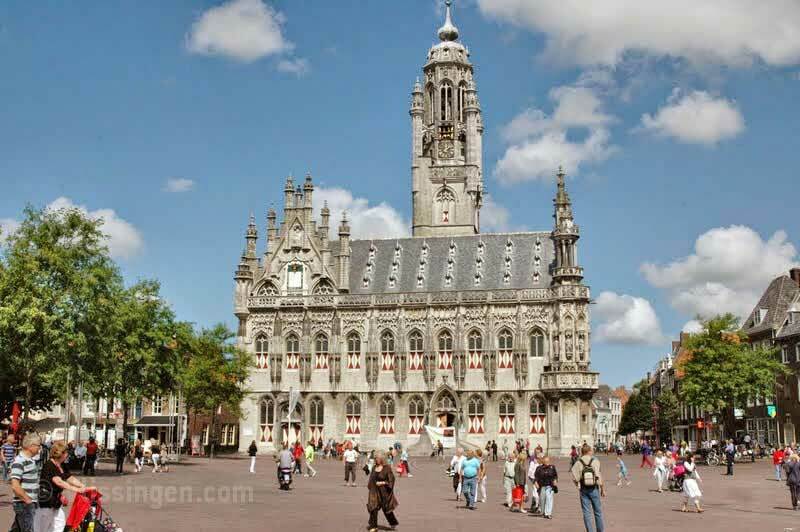 The inner cities of Middelburg, Vlissingen, Veere, Zierikzee, Goes and Hulst are rich in historical monuments, characteristic small streets and spacious market places. The over forty large and smaller museums, ancient rooms and visitors centers portray the history, the daily life and the nature in Zeeland. The Zeeuws maritime muZEEum at Vlissingen, the Historical museum De Beveland at Goes, the flood museum at Ouwerkerke and the Spanish States Lines at Zeeuws-Vlaanderen portray the culture and the turbulent history of Zeeland. At the boulevards of Terneuzen and Vlissingen you enjoy with the salt on your lips of the industrious vessel traffic over the Western Scheldt. Art-loving Holland will have their needs fullfilled in Domburg and those whose device is ‘small is nice’ couldn’t pass over villages as Dreischor and Sint Anna ter Muiden. Active holidaymakers could enjoy to their heart’s content in Zeeland. The numerous water pools offer plenty of opportunities for sailors, surfers, swimmers, anglers and divers. 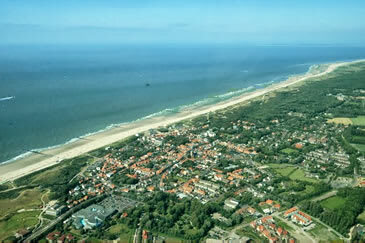 The North Sea, both Scheldts, the Grevelingenmeer and the Veerse Meer; water (aquatic sports) are always nearby. The Oosterschelde gets more and more fame as Mecca for the diver wanting to stay in own country. Furthermore, Zeeland is counting different marked cycle tracks and several short and longer walk routes in nature reserves, along the coast and along the border with Belgium. Walkers and bird watchers find their own paradise in the Zwin and Het Verdronken Land van Saeftinge. The game of ebb and flow is causing a labyrinth of ditches, dredgings and unembanked alluvial land full of mud. Especially for cyclists and walkers there are Zeeuwse pontjes (small ferryboats) sailing in summer between the islands. Behind the dunes of Schouwen-Duiveland, the ‘Crown at Zeeland’ , there is a characteristic polderland with historical harbour cities, small villages and gorgeous nature reserves. Little poles with coloured heads indicate nice walk routes. Raw yelling could be heard when you are approaching the brooding colony of the Meeuwenduinen. Want to see the silverwhite birds at close quarters, just arrange a tour with the forrester. The Zak van Zuid-Beveland is a patchwork blanket of small-scaled polders, winding tree- and flowers dikers and getting a chance to meet a Zeeuwse sheep herd makes bicyling here a true delight! Zeeland is also culinary on the map. With the ‘proportionally- multitude of sun hoursGrapes and other fruits are riping here like a charm. In the vineyards you could taste homegrown red and white . In restaurants ‘fruits of the sea’ mussels, oysters and periwinkles are at the menu. On the salty ground the vegetables sea lavender and salicornia are growing. The traditional preparation of Zeeuwse bacon, potted head and sausage are still honored and about the Zeeuwse butter Candy and bolus; who doesn’t know them?